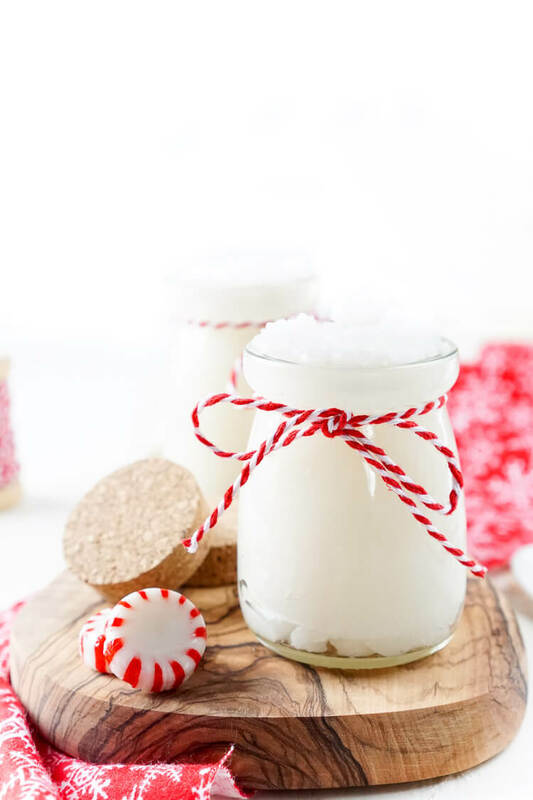 This 3-Ingredient Peppermint Sugar Scrub is great for soothing tired muscles and reviving dry skin, it’s a great DIY gift that can be made in less than 10 minutes! Want your skin to feel amazing? 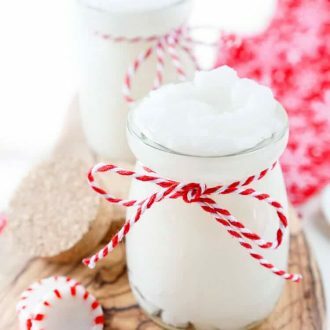 Get some peppermint essential oils, take the coconut oil down from the cupboard, and pull the sugar out of the pantry and stir up this amazing sugar scrub. Your skin will thank you! 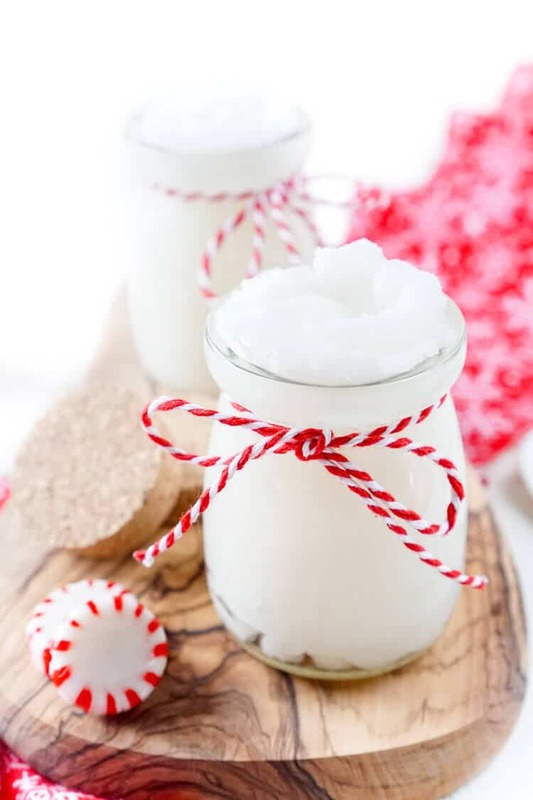 You guys have been going crazy over my Gingerbread Sugar Scrub and thought you could do with another festive fragrance to get your skin feeling awesome for the holidays and winter months. 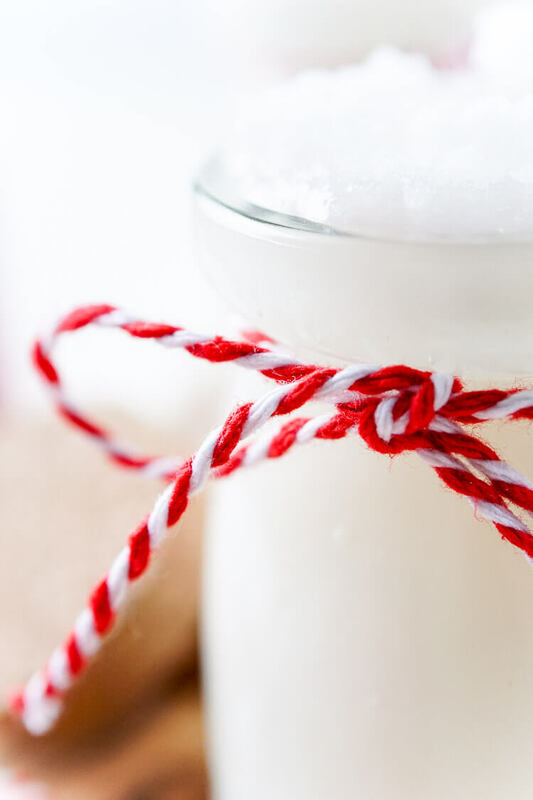 The peppermint is so soothing for tired and achy muscles and leaves feet feeling refreshed. The sugar exfoliates away dead skin and the coconut oil leaves it incredibly smooth! This is a great DIY gift for the holidays too, it’s easy to make and package up in a cute little jar with some ribbon. Put it in a gift basket with this homemade oatmeal cinnamon soap to give them something a little cozier smelling too! 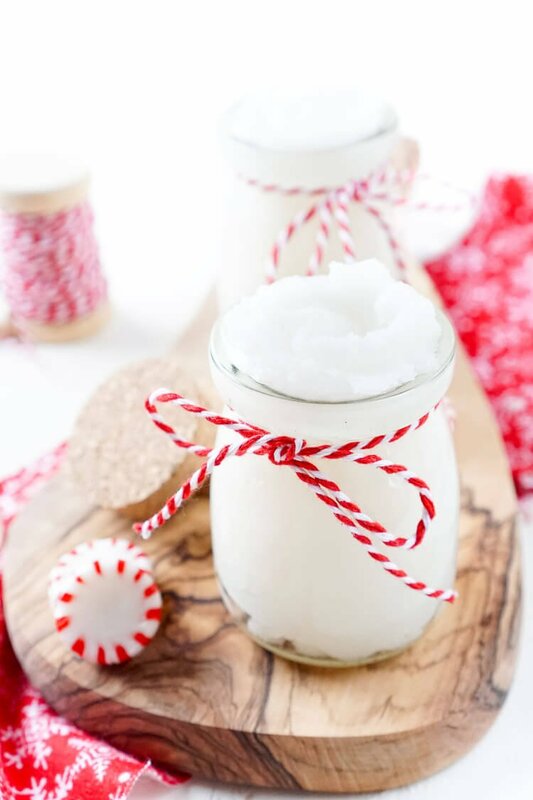 Things You’ll Need for this Peppermint Sugar Scrub Recipe! Cute Jars – If you’re giving this as a gift, you have to package it up in some cute jars, these Weck jars are some of my favorites, they’re a perfect size and look super adorable! Small Weck Tulip JarsGet Recipe! These Kate Aspen Jars are great too! Gift Tags – Use these cute gift tags with twine included! Peppermint Oil – Use a good oil for a stong and festive fragrance! 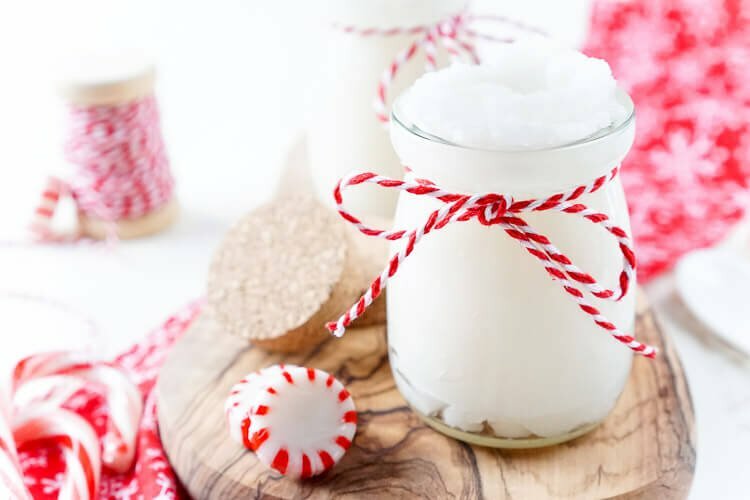 This 3-Ingredient Peppermint Sugar Scrub is great for soothing tired muscles and reviving dry skin, it's a great DIY gift that can be made in less than 10 minutes! Melt coconut oil in a medium bowl in the microwave for about 30 seconds and let cool for 5 minutes. Stir in sugar and essential oil until evenly combined. Package up into air-tight jars. Pop in the microwave for 10-15 seconds to soften before use.